Westcor Construction opened its doors on September 1st, 2003. For 15 years, Westcor has been Building a Better World, The Westcor Way. The Westcor Way is about putting people before profit, committing to continuous improvement and sustainable learning, and collaborating every day. Most of all, The Westcor Way is about building relationships and understanding the strength of a community. Without the support of our community, friends and families, collaborators, and industry peers, Westcor wouldn’t be where we are today. Throughout our years working to Build a Better World, we’ve learned the importance of giving back. We promote Corporate Social Responsibility, a business approach that contributes to sustainable development by delivering economic, social and environmental benefits for all. 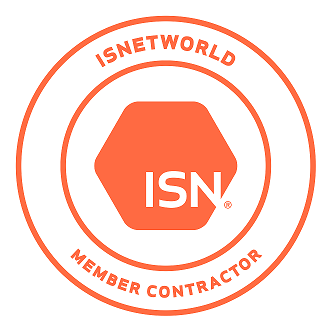 We focus our efforts on collaboration, reciprocity, and creating win-win scenarios to foster an environment of mutual understanding, growth, and fulfillment. We are proud to give back to the community that has helped shape who we are and to celebrate our 15th anniversary, we’re looking to the future. The purpose of this initiative is to give back to our community. For the first year, we’re committing to 15 acts of community kindness. In September, we will partner with a signature partner, Dare to Care, to support their bullying prevention programs. We’ve partnered with Dare to Care because, like us, they believe in putting people first and building a better world. We are also inviting our community to support our September Towel Drive. When we heard through our friends at move forward yycTM that the Mustard Seed is having a towel shortage, we knew it would be the perfect place to start. “Having a towel to dry off with after a shower seems like a common amenity, but to many members of Calgary’s at-risk community, a towel may be an uncommon luxury. Most of us have never had to dry off with an old sock, or our only set of clothes. Providing towels to organizations like The Mustard Seed ensures everyone a basic amenity and the right to dignity. Whether preparing for a job interview or having a shower for the first time in days (sometimes weeks) every single person deserves a warm towel to dry off with. 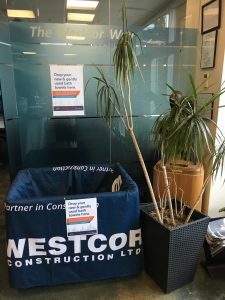 A donation bin is located at Westcor’s head offices throughout the entire month of September. Our goal is to collect 500 towels to donate, but there is no limit to the power of the Westcor family – the more towels we can donate, the better. Stay tuned for more information about Building a Better Community-A Westcor People-First Initiative and how you can get involved!